Due to the long weekend, we had an urge to get away somewhere and decided on the very last minute on a 1 day tour to Batam, which was just about an hour's boat ride from Singapore on 9 November 2007. For a 1 day tour for 3 pax, it is quite cheap, just S$114, includes a city tour and seafood lunch. The boat ride itself was about S$25. It was an extremely mad rush this morning. We were supposed to reach Harbour Front at 0800hrs to do the boarding and stuff, but due to the morning traffic, we were caught in a jam for quite some time....was quite worried that we might miss the boat. 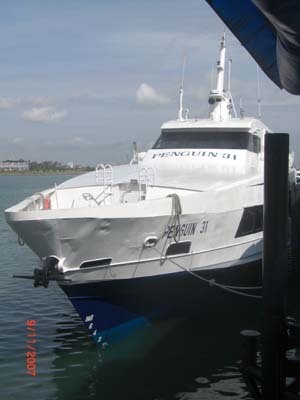 Luckily, we reach on time at 0900hrs and were the last to board the boat, haha..the Penguin 31. 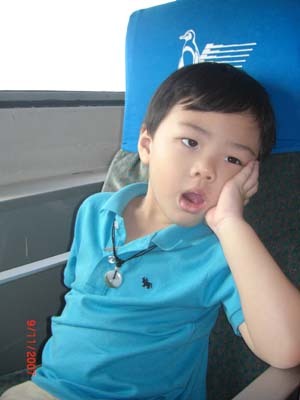 Though the journey to Batam island is just about an hour, on the seas, it seems quite long. Reached Batam at 0900hrs (BT Time), Batam is 1hr behind Singapore. View of the Otorita Batam beside the Batam Center Ferry Terminal as we approach. 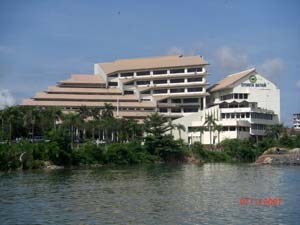 I believe this is one of the Batam hospitals. 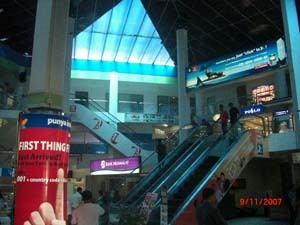 The interior of the Batam Center Terminal, nothing too fanciful...quite a few shops not opened at the top floor. Met up with our tour guide before moving to the tour bus. 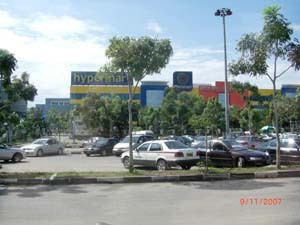 This is the new Hypermart which just opened recently and is just located oppposite the Ferry Terminal. 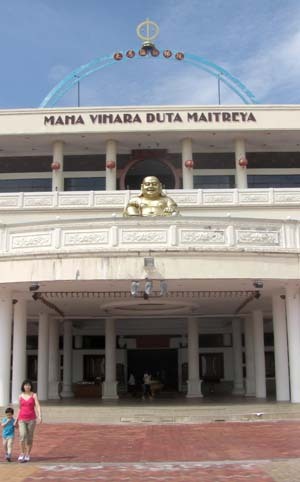 First stop, the Maha Vihara Duta Maitreya buddhist temple. One of the largest buddhist temple in Southeast Asia. It was just 10mins drive from the Ferry Terminal. 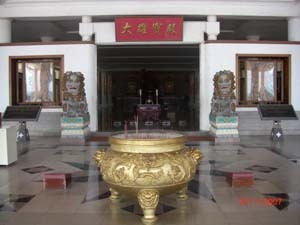 The main temple hall of the temple.